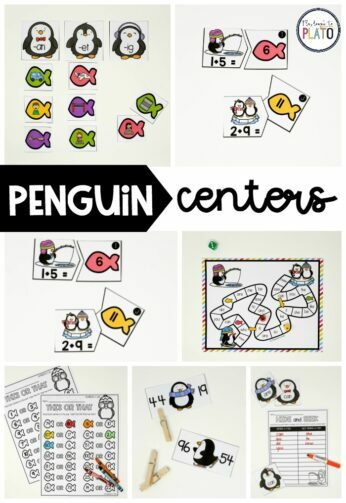 Looking for penguin centers your students will beg to repeat over and over again?! 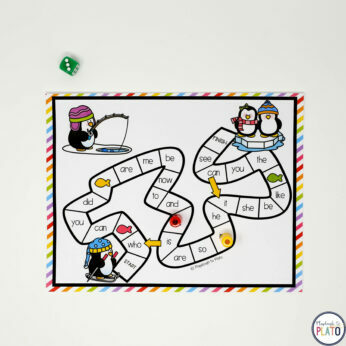 This print and play pack includes 17 math and literacy centers practicing word families, sight words, number concept, addition, subtraction and so much more. 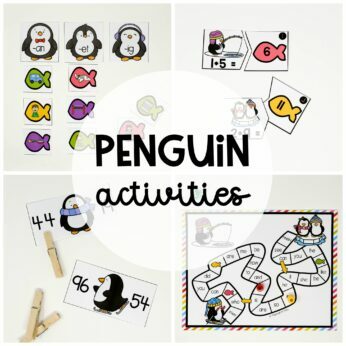 The penguin activities are easy to differentiate, making them perfect for kindergarten and first grade! –> Fact Sheets. Learn about penguins and then complete either a KWL chart or fill out a fact sheet. 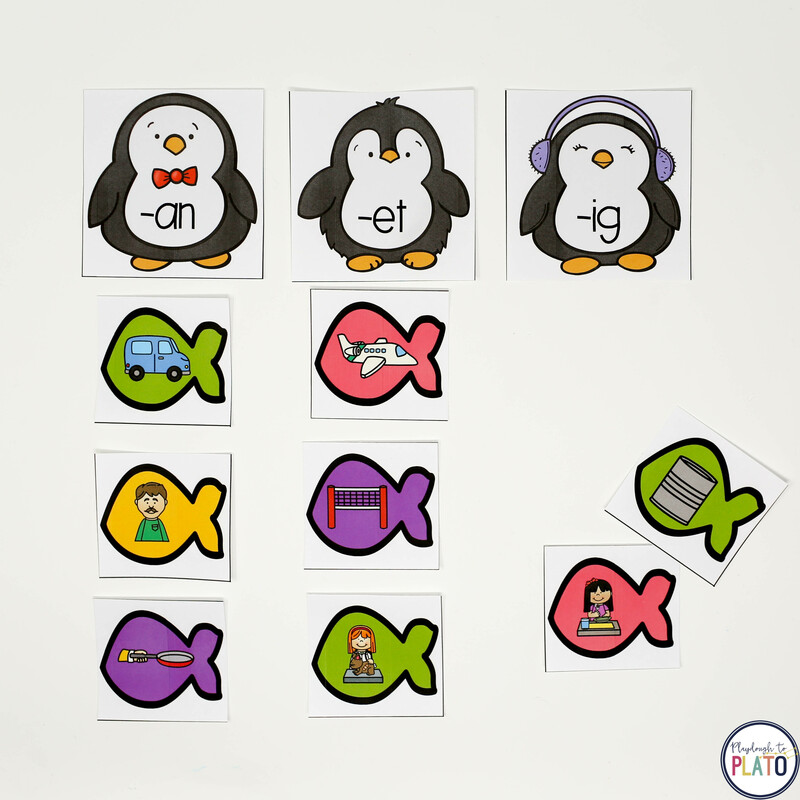 –> Penguin Alphabet. Such a motivating way to work on letter recognition and upper and lowercase pairing. 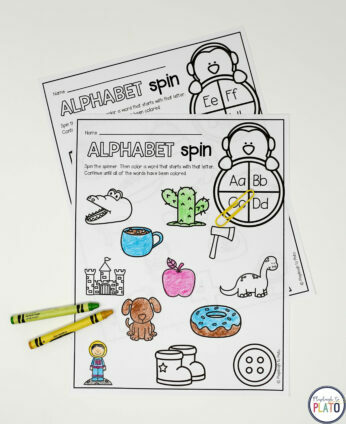 –> Alphabet Spin. Spin a letter and color a word that starts with it! –> Word Family Sort. Sort and then sound out CVC words. –> EDITABLE Sight Word Game. 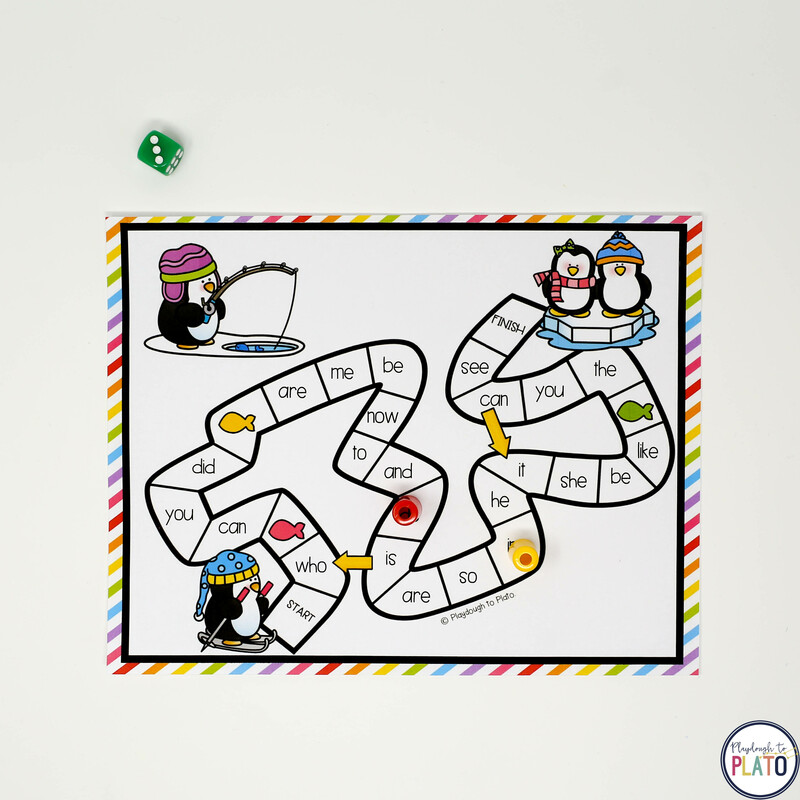 Race to the iceberg as you read and write sight words along the way. –> EDITABLE I Spy. Find the sight words hidden around the room. Then write the words in the right spot on your sheet! –> EDITABLE Hide and Seek. 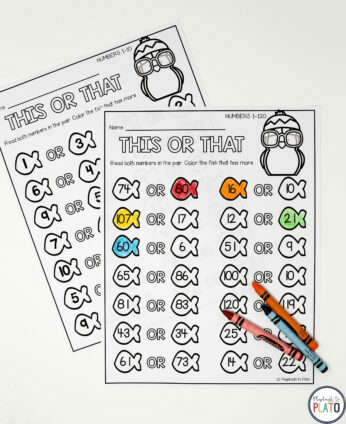 Play a super fun pocket chart game with the whole class! –> 3 Story Starters. 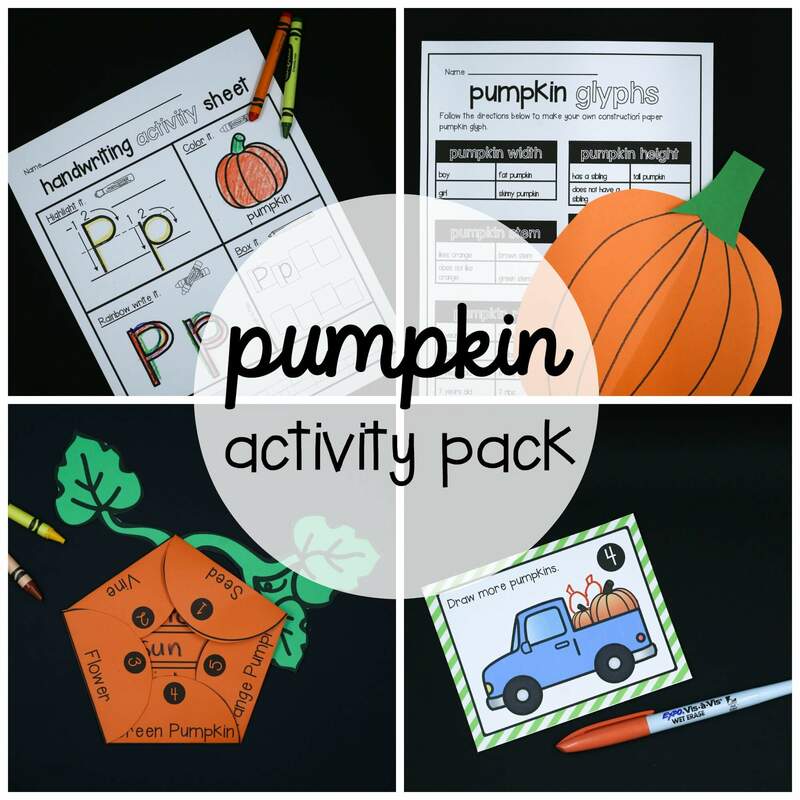 Get kids writing with creative story prompts. 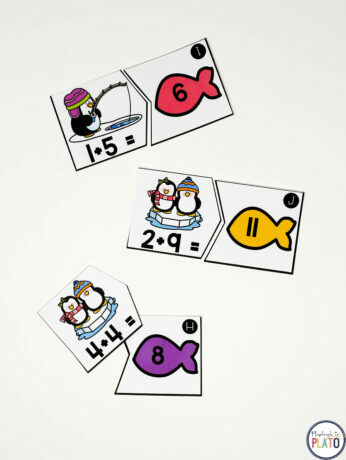 The set also includes math activities teaching critical skills including numbers, patterns addition and subtraction. –> Comparing Penguins. Use clothespins to clip the biggest number! You can either work on 1-10 or stretch kids who are ready by practicing 1-100. –> This or That. Color the biggest number in each pair. –> Odd or Even. Sort numbers into the right pile: either odd or even. –> Fish Patterns. Create AB, ABB, ABCD, AABB, AAB and ABC patterns. 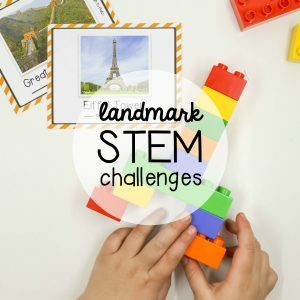 Then invite students who are ready for a challenge to create patterns of their own. 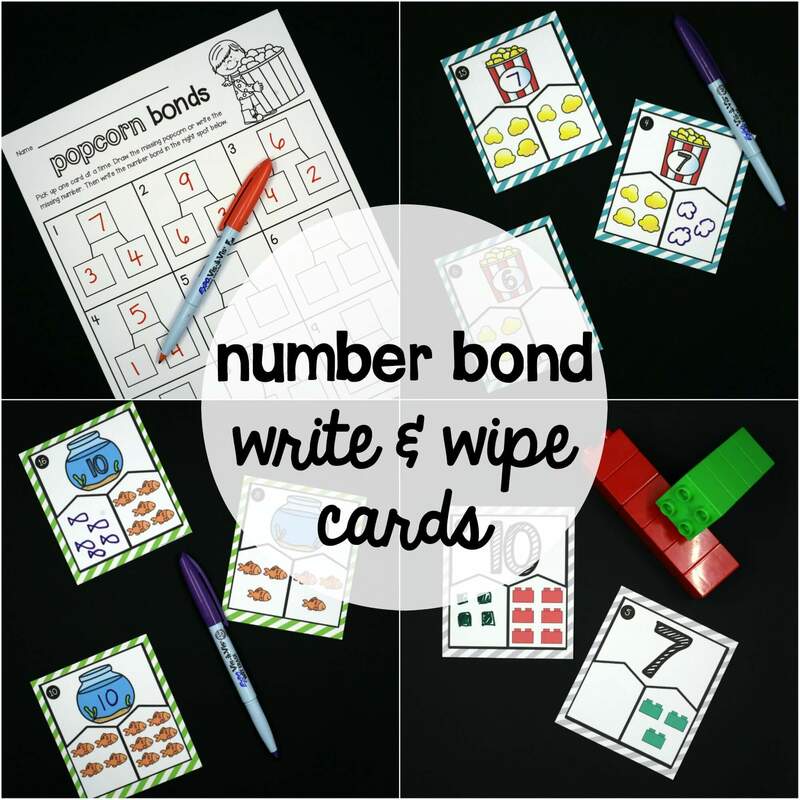 –> Write and Wipe Making 10 Cards. Write and solve penguin-themed making ten addition problems. 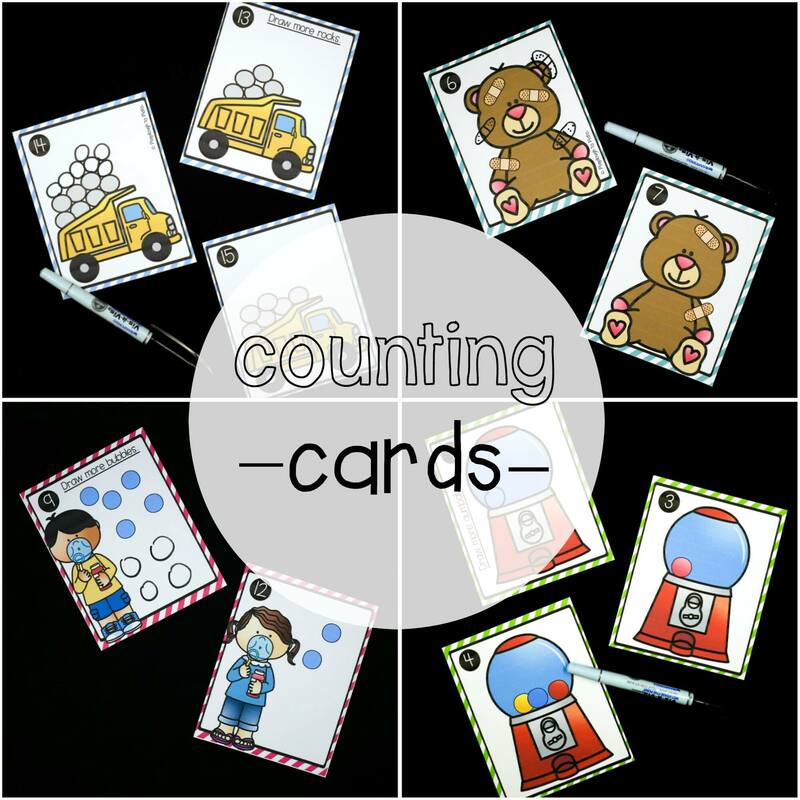 –> Write and Wipe Subtraction Cards. Then invite students to write and solve subtraction within 10! 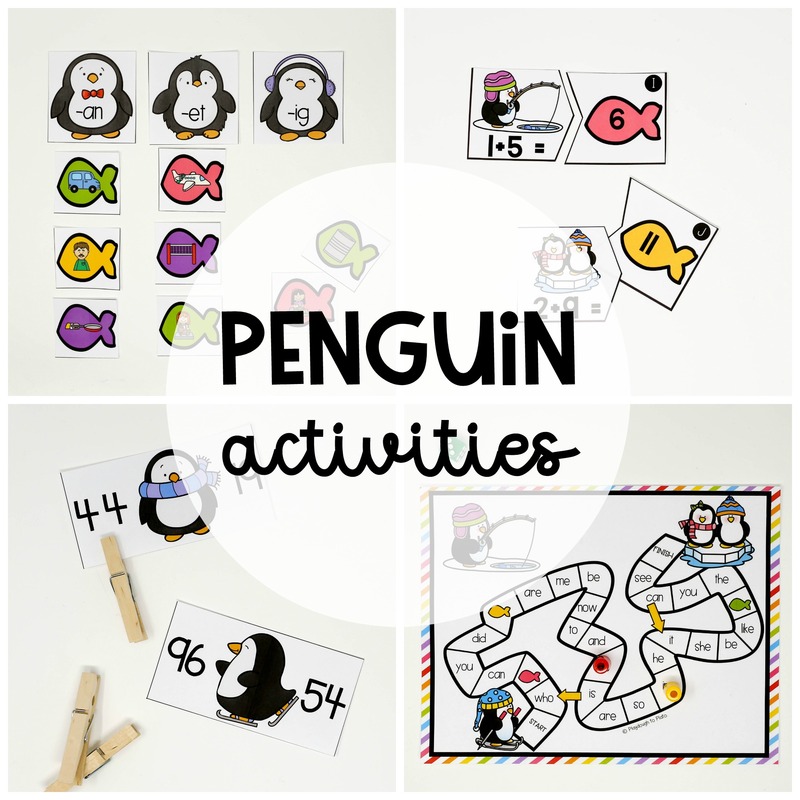 THERE ARE 17 PENGUIN ACTIVITIES IN ALL!